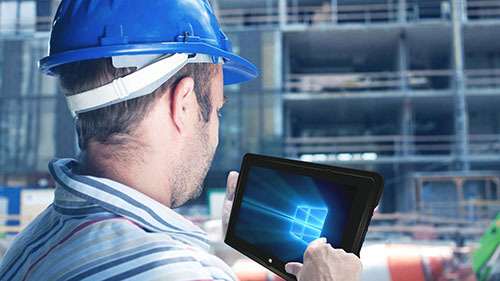 The Aegex 10 intrinsically safe tablet is one of the leading devices in its space. The device has enabled many companies around the UK and the World to completely change the way they communicate while on site and enable new levels of efficiency while carrying out work. The question is, what makes the Aegex 10 stand out as one of the leaders in hazardous areas technology? The Aegex tablet is certified in North America, Europe, Middle East, Africa and Asia-Pacific as “intrinsically safe,” meaning it cannot produce a spark nor enough heat to ignite an explosion in environments where combustible materials are present. Aegex’s patented design ensures the device circuit board does not concentrate energy in any one point enough to ignite hydrogen. This feature is critical in many industrial operations, such as oil refineries, chemical plants, mines, power plants, disaster scenarios or other hazardous locations, and permits the Aegex 10 IS to be carried in any Zone 1 or Division 1 hazardous area worldwide. The Aegex 10 IS is physically “rugged”, passing MIL-STD 810G tests for drops, shakes, water, heat, cold and dusts, as well as being dust-tight and withstanding water sprays (Ingression Protection IP65). But although the Aegex 10 is tough, it is much lighter in weight than most other ATEX Certified tablets. Weighing just 2.16 lbs., or 980 grams, the Aegex 10 is easy to carry around an oil rig or through an emergency response scene. The Aegex 10 IS has Wi-Fi or LTE capabilities and Bluetooth, plus its high-resolution front- and rear-facing cameras enable it to capture visual data or communicate visually and audibly via Skype or other VOIP. Many other tablets may have similar capabilities, but the Aegex 10 IS has a battery capacity of 8700mAh, which allows it to stream video over Wi-Fi for 11 hours and 56 minutes without compromising audio or adding extra weight to the device.